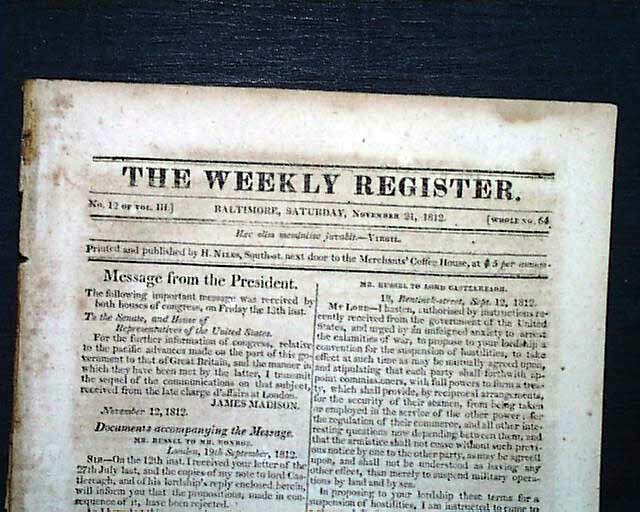 THE WEEKLY REGISTER, Baltimore, Nov. 21, 1812 The front page begins with a "Message from the President to Congress, signed: James Madison. 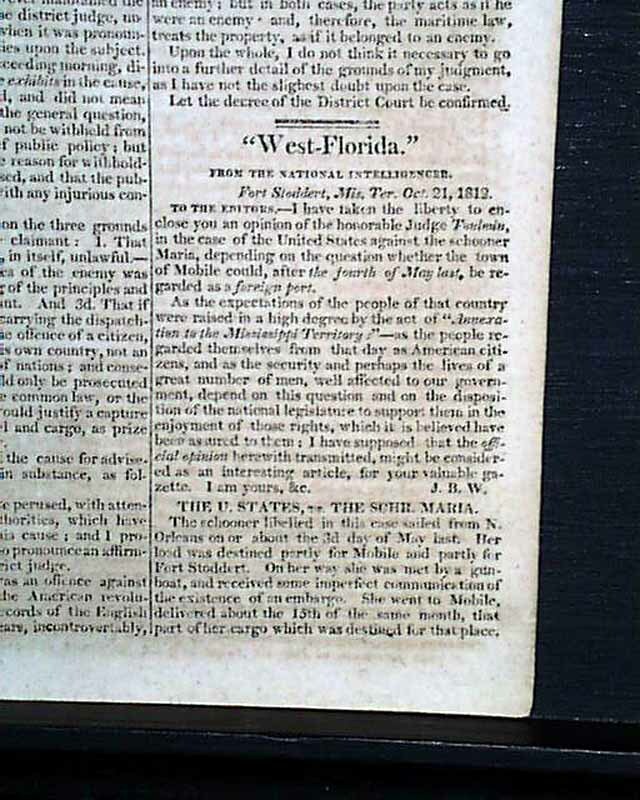 Inside includes; "West Florida" "Russia & Spain" "Privateering" "Important Discovery" being perpetual motion; "The Slave Trade" and more. 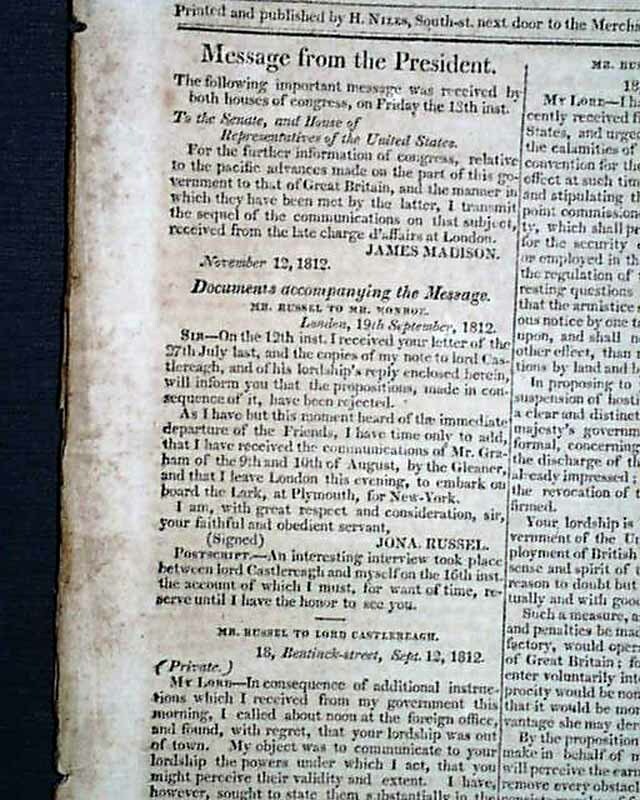 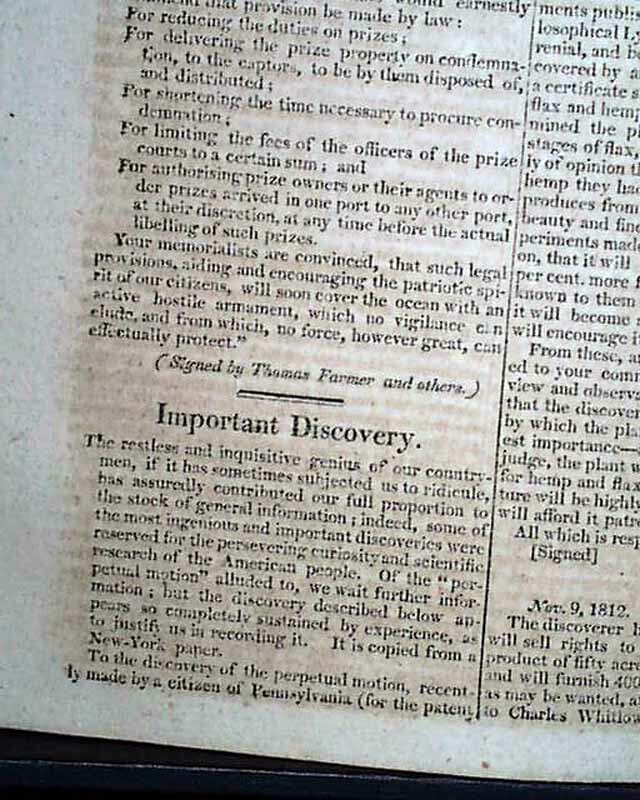 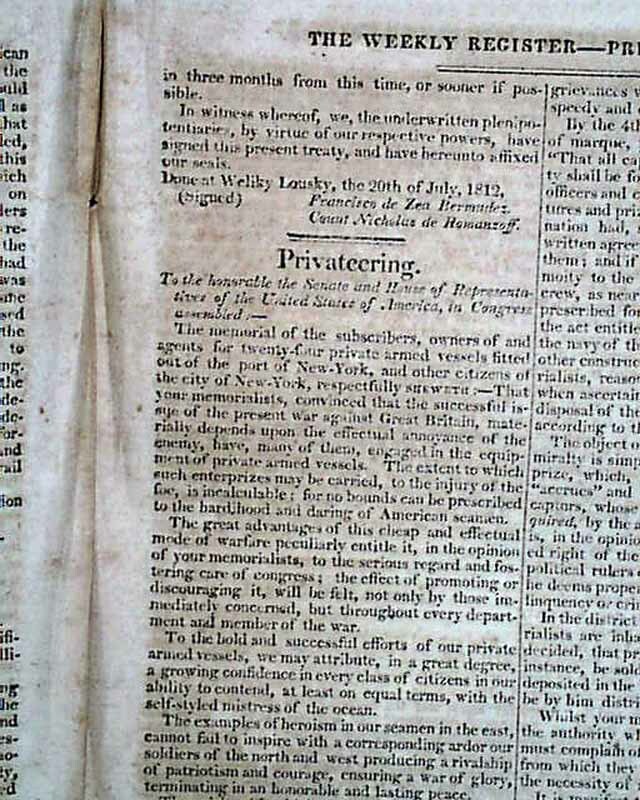 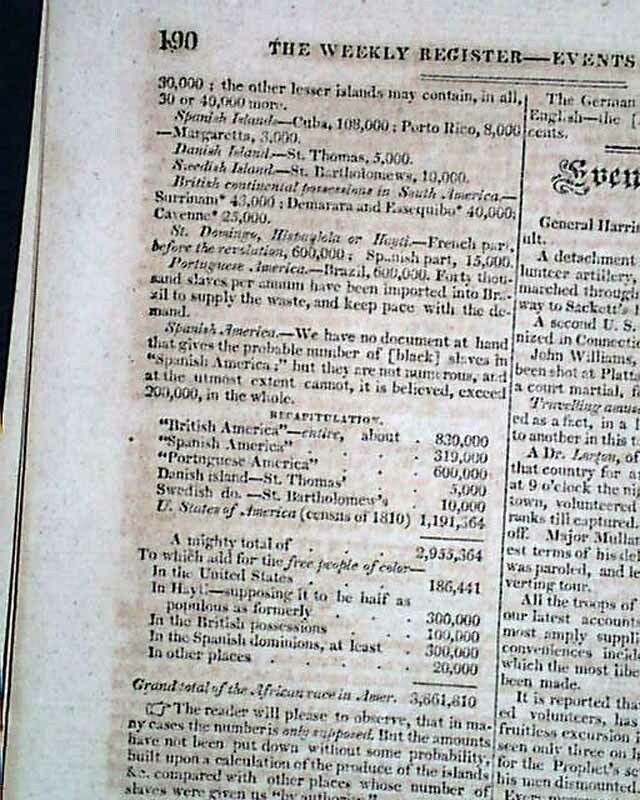 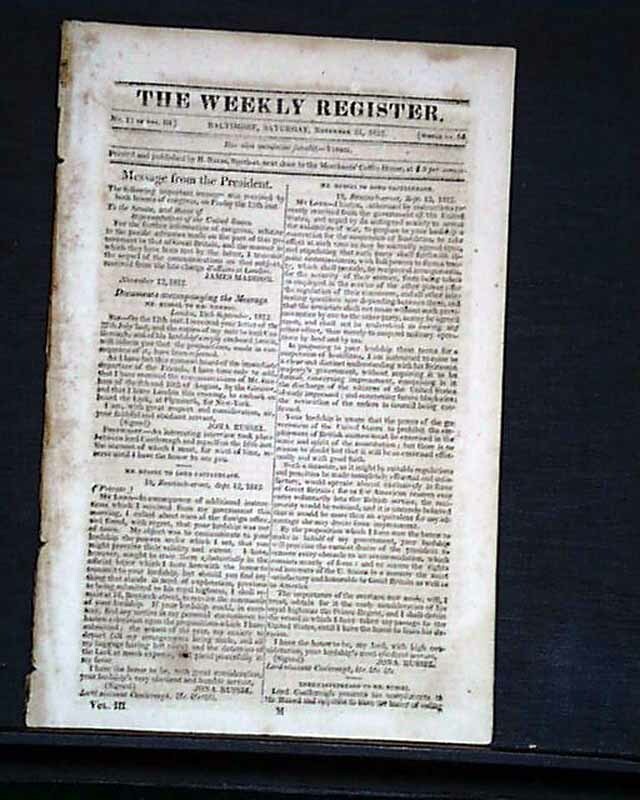 Near the back is over a full page on: "Events of the War" concerning the War of 1812. 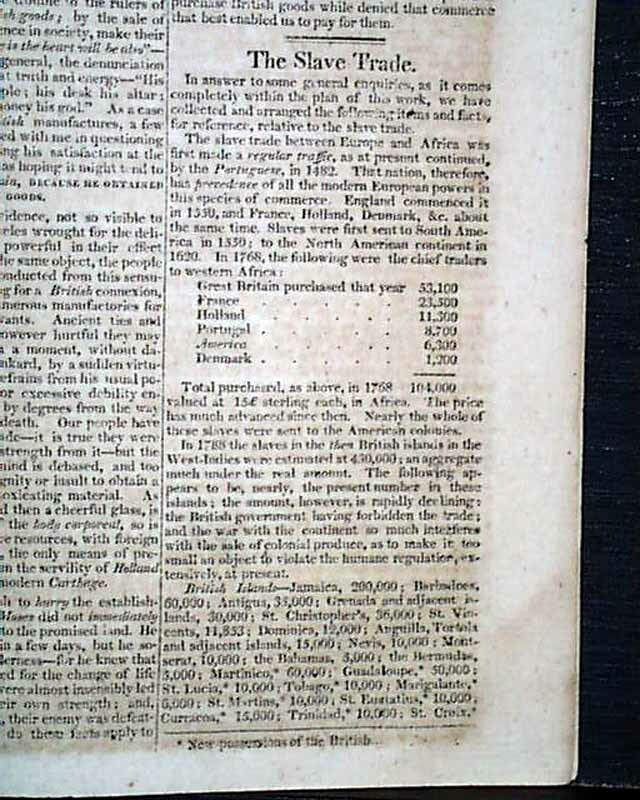 Sixteen pages, 6 1/4 by 9 1/2 inches, very good condition.